The ongoing feud between the City of Plantation, Florida and the mega-Christmas light display known as Hyatt’s Extreme Christmas could be coming to a head as the City has now levied fines and filed a lawsuit against the Hyatts. The display has made news for years as it has sought out greater media attention in its fight against the city. Critics of the Hyatts now tell Defend Christmas.com the city has the display “on the ropes” as it has refused settlement offers from the Hyatts and seeks to increase fines for ongoing code violations and pressure on the city budget for added police presence and traffic support. The feud centers on the fact that the display is popular and draws thousands of visitors to a residential area not designed to handle high traffic. Complaints from neighbors about the traffic, trash, noise and vandalism in the area because of the popularity of the display has led to court battles and ongoing media outbursts between the two parties. It is a bitter feud short on Christmas spirit: the Hyatts have led local efforts to oust the mayor in campaigns (calling her “anti-Christmas”) while the local police department has accused the Hyatt’s of being irresponsible. Earlier this spring the Sun Sentinel reported that the Hyatts offered to cut back the size of their display from more than 200,000 lights to a “meager” 50,000 lights and to remove a Ferris wheel on the front lawn that gives endless rides to stuffed animals. They also offered to stop promoting their lights on the Internet if the city would waive the fines for code violations. The City of Plantation immediately refused the offer. The Hyatts appear to have once again dug in their heels, moving their website to a new domain and renewing their efforts on social media to gather support for online petitions supporting their cause. They claim the city unfairly imposes fines, blocks roads and detracts from their efforts to raise money for charity. While it remains to be seen if the Hyatt display will return for Christmas 2015 neighbors and critics of the display are thinking the city will continue to increase the pressure on the Hyatt family to quit. Your Christmas lights just became a lot more expensive. A ruling issued on Monday by the Consumer Product Safety Commission claims certain decorations are a “substantial product hazard.” The 39-page report lays out specifications for acceptable seasonal lighting — and it all points to big price increases for seasonal lighting products. The claim is that Christmas lights are dangerous. Almost 300 deaths have been linked to Christmas lights over the past 30 years. 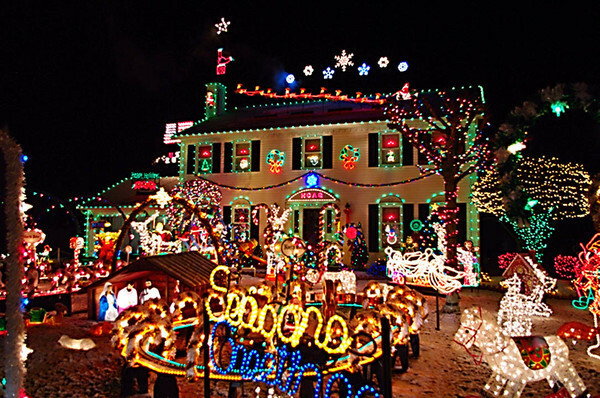 The CPSC claims the new regulations will cut down on fatalities associated with Christmas lights. The CPSC ruling says a product will be noncompliant if it doesn’t “contain any one of three observable characteristics – minimum wire size, sufficient strain relief, or overcurrent protection”. All “solar-powered products” have been exempted. This is taxpayer money “at work” folks. Another light fight has broken out in Cleveland. This one involves neighbors, donations and fireworks. Yes, fireworks. 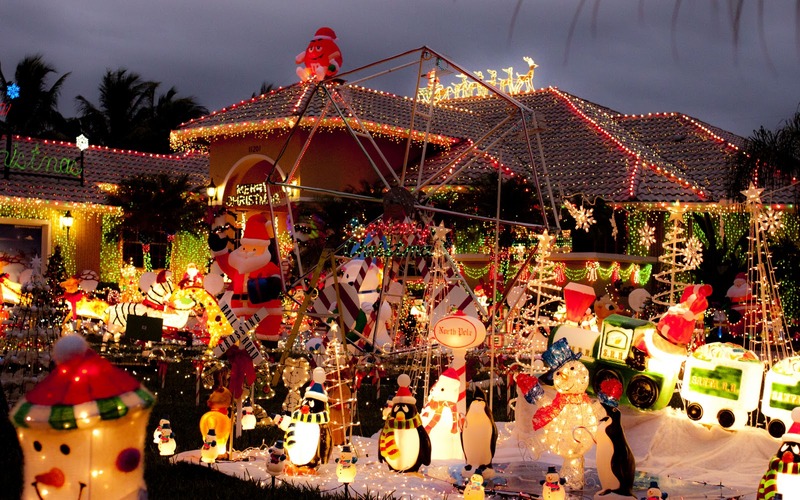 Now the whole thing is headed to court — just another in a list of Christmas light court cases we’re seeing in 2013. It seems the epic display of Dan Hoag and family is quite the spectacle. More than 1000 people show up every Thanksgiving evening at 6pm and the kids line up to visit with Santa. The event was once covered on the Today Show. Some reports say the entire neighborhood and multiple families participate by lighting houses, yards and walkways. It runs every year from Thanksgiving to Christmas and is so big that it includes fireworks launched overhead right there from Hoag’s yard. Neighbor Kevin Roberts has put up with it for seven years. He reached his breaking point, it appears, when his Thanksgiving dinner was ruined and a family member was harassed just for leaving the house. Roberts is suing for $3000 claiming damage to his yard, roof and vehicle. The fireworks appear to be a big part of the case. Apparently it is illegal to shoot off fireworks there. Someone complained about the event a few years back and police shut it down before it started. This year Hoag worked with local police, who actually sent two officers to work the event and things went well. Hoag also claims to have received approval from the mayor to light off the fireworks. The case gets its first hearing at the end of January. Holiday lights in Aspen and Pitkin County should have been off by March 30. But not everyone is following the rules â€” and there are plenty of loopholes â€” according to city and county officials. Carrington Brown, Pitkin County code enforcement officer, receives regular calls about Christmas lights still burning bright in places like Red Mountain. And recently, Brown ran an ad in local newspapers asking people to turn off holiday lights. But the county lighting code is not simple, Brown said. Holiday lights on county residences can be left on from Nov. 15 to Jan. 30, and on commercial properties from Nov. 15 to March 30. 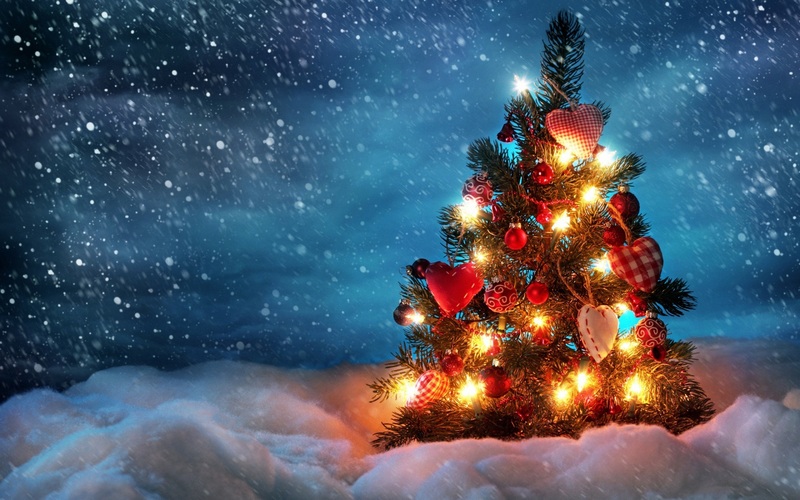 The county ordinance, however, has a loophole: Residents can hang holiday lights in celebration of any religious, national or local holiday for two weeks prior to the event and for two days after, Brown said. That means anything from Arbor Day to Yom Kippur can be cause to burn up some wattage. â€œIt may be legal, but is it the right thing to do?â€ Brown asked of residents who use the loophole to keep lights on for longer periods. The county code is up for future review, he said. In the city of Aspen, the rule is that both residential and commercial properties can keep holiday lights on from Nov. 15 to March 1. Ireland hears regular complaints, he said, adding that the city council could look into the matter in coming sessions. â€œItâ€™s just not special if itâ€™s 365 days per year,â€ Ireland said of downtown lights. The new lights cost $35,000, but itâ€™s money the city will recoup in energy savings within three years, Peterson said. The new city-owned holiday lights use 93 percent less energy and generate about 2,500 pounds of carbon each year (compared with some 25 tons produced by an average home). â€œWe donâ€™t view it as problematic,â€ Peterson said of energy use from city-owned lights downtown. Efficient lights, however, do not give the city carte blanche to run lights, Peterson said. â€œWe want to dress up the town. On the other hand, we want to be as green as possible,â€ Peterson said. Peterson could not estimate the cost or impact of privately-owned lights, but said she works with business owners to help them make better choices. No one in the city or county is writing tickets for hanging twinkling lights on eves, though. The city response is complaint-driven, and Todd Grange, the cityâ€™s code zoning officer, said he hasnâ€™t received any complaints. Carrington Brown in the county has a similar philosophy, and whether itâ€™s outdoor lights or bear-proof garbage containers, Brown tries to help bring residents into compliance. â€œTo me being punitive is not a constructive way of doing code enforcement,â€ Brown said. He talks with homeowners and said most â€” nine out of ten â€” cooperate, and that heâ€™s able to work out solutions and compromises after knocking on doors or leaving notes. The county code restricts use of not just holiday lights, but any wasteful outdoor lighting, such as driveway lights or large landscape lighting, Brown said. There is much confusion between county and city rules about holiday lights, Brown said. Residents on Red Mountain, for example, might wonder why they are required to douse their holiday lights on Jan. 30, while the city of Aspen below is glowing like Christmas Eve until March 1.